produced by Busy Beaver Button Co.
Busy Beaver Button Co. is a woman-owned business based in Chicago. We manufacture our products in a solar-powered, geothermal, green facility. Celebrate your first time voting! Each packs comes with 5 buttton designs pictured here. Wear and share with friends. Get all five designs! Each pack comes with each of the button designs pictured. Wear and share with friends. Get all five designs! Each pack comes with each of the button designs pictured. Wear and share with friends to support this important and necessary step towards full adoption of the ERA in the U.S. Constitution. 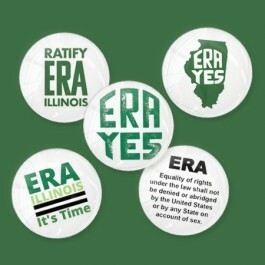 Designs inspired by the ERA movement of the 1970s and offered for sale in partnership with ERA Illinois and Ratify ERA IL. 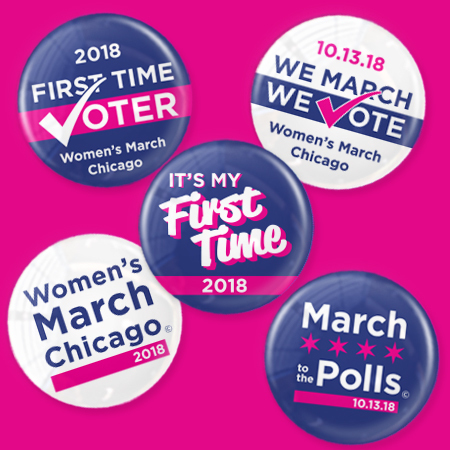 Women’s March on Chicago is excited to launch a new series of buttons available for our marchers. Add to your collection of buttons from last year. Have a memento from this year's march. Identify yourself to fellow resisters. And most importantly, March On! 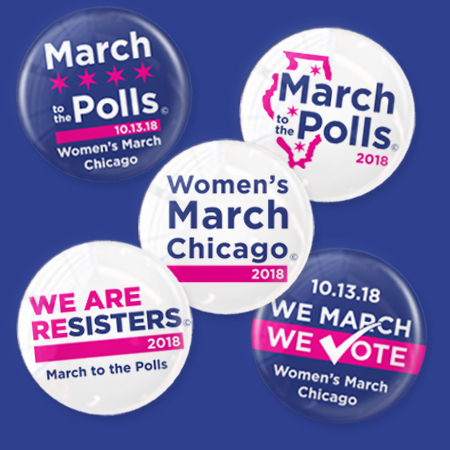 50% of every sale will be donated to support the Women’s March Chicago and the advocacy work this group is continuing for women and allies. We March On!